Harri Mäki began studying the clarinet with Kari Kriikku. He graduated from Conservatoire de Musique de Geneve with the Premiere Prix from the class of Thomas Friedli. He has also studied pri­vately with Osmo Vänskä and Charles Neidich. 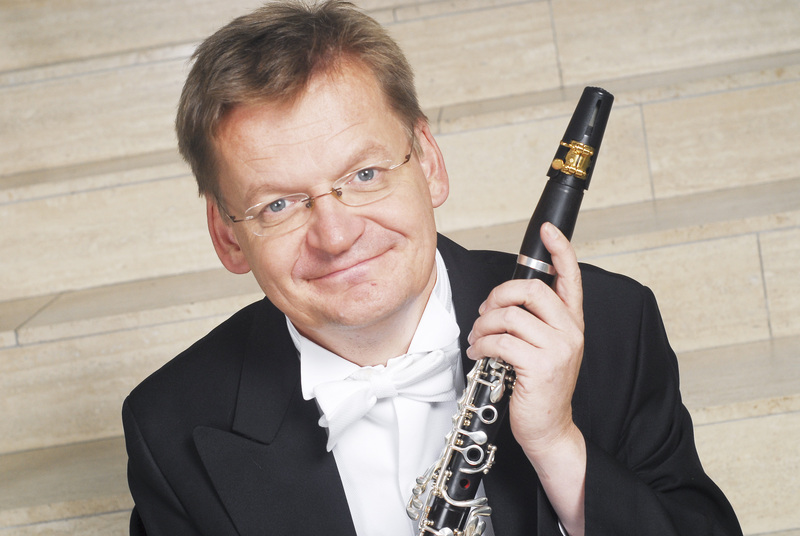 He is the Solo Clarinet and a found­ing member of the Tapiola Sin­foni­etta (established in 1988). He is also the Lec­turer of Clar­inet in Sibelius Academy and the Artistic Director of Crusell Music Festival in Uusikaupunki. He teaches clar­inet mas­ter classes and cham­ber music both in Europe and North America. Mäki has per­formed fre­quently as a soloist and a cham­ber musi­cian in most European countries, South Amer­ica, Far-East and USA. Harri Mäki’s per­for­mances as a soloist and cham­ber musi­cian can also be heard on the BIS and Ondine labels. He plays French-bore Schwenk & Seggelke clar­inets made in Bamberg, Germany. Harri is married to Bridget Allaire-Mäki.